The National Park System United States has some of the most awesome sites in the world, but the vast majority of the sites in the system are more humble and obscure, but certainly worth your time as my recent trip to Boston reinforced. Here are seven national parks you can enjoy in and around Boston. These sites are a road map to American History. The graveyards contain a who’s who of colonial and revolutionary Boston. 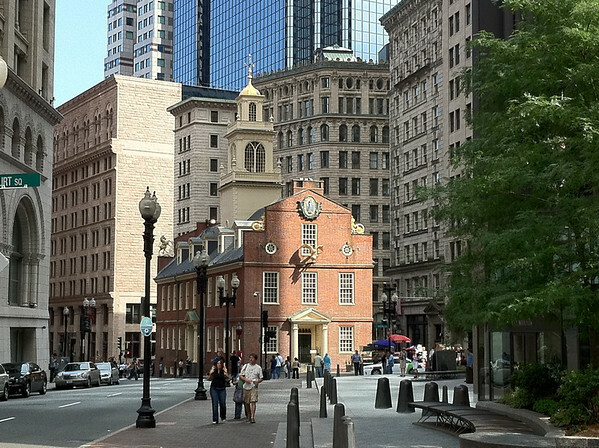 If you have time for only one of the three, visit the Granary which includes the graves of Samuel Adams, John Hancock, Paul Revere, and the five victims of the Boston Massacre which took place on nearby Boston Common. Old Ironsides is the world’s oldest commissioned naval vessel that is still afloat. It is a 3 masted frigate that saw action in the First Barbary War (think of the “shores of Tripoli” from the Marine hymn) and the War of 1812. The Bunker Hill Monument is erected on the site of the Battle of Bunker Hill from the Revolutionary War (which is oddly enough Breed’s Hill not Bunker Hill). 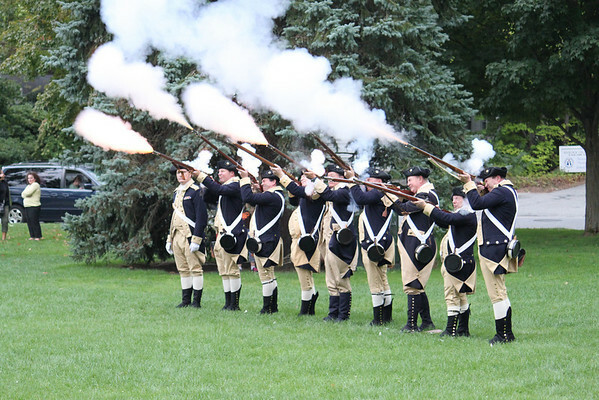 Visit the museum below it which interprets the battle where the American soldiers were told to preserve their meager ammunition by waiting until they could see “the whites of their eyes”. Old North Church is where the signal lanterns told Paul Revere which route the British regulars would take on a fateful day in April of 1775. One lantern if by land and two if by sea. Paul Revere’s house also shows his silversmith work which supported him when he was not off riding through the countryside shouting the “regulars are coming out” (not quite as poetic as the version in the poem by Longfellow). To help with your visit to the Freedom Trail use this smart phone app or this online map. Hear the real story of Paul Revere’s ride and of the other riders who actually reached the Minutemen in Lexington and Concord but got no love in Longfellow’s poem. Stand on Lexington Green for the first lives were lost in the cause of freedom or at Concord’s Old North Bridge where the Minutemen fired the “shot heard round the world”. The park is 5 miles long and best visited by car or bike. There is more to Boston history than the Revolutionary war as evidenced by this humble house, not far from the heart of Boston, where America’s 35th president was born. The site will take all of half an hour to visit so while it doesn’t need to be on the top of your list, it’s an easy addition to a week in Boston. If you enjoy this visit then think about adding on the JFK Presidential Library to your trip as well. America entered into the industrial age in Lowell Massachusetts. This was the first town where weaving happened in the U.S. on an industrial scale. 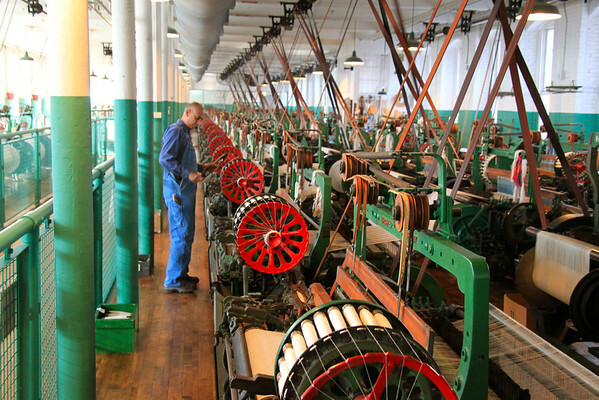 The best thing about the park is that you can still see looms of the type used in the early industrial age in action. It’s the only national Park I know that hands out free ear plugs. The Puritans in Boston Massachusetts wanted to be fully independent from the mother country. 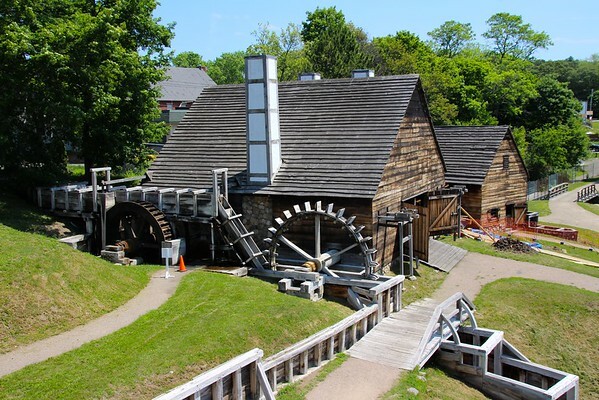 One of the things that still tied them to England was there there was no iron works in the colonies so John Winthrop the Younger founded the Saugus iron works in 1645. The furnaces ran day and night producing iron goods for the colonists. The iron works was never profitable and eventually was closed and fell into disrepair and ruin. In the 1950s the National Park Service re-created the iron works. 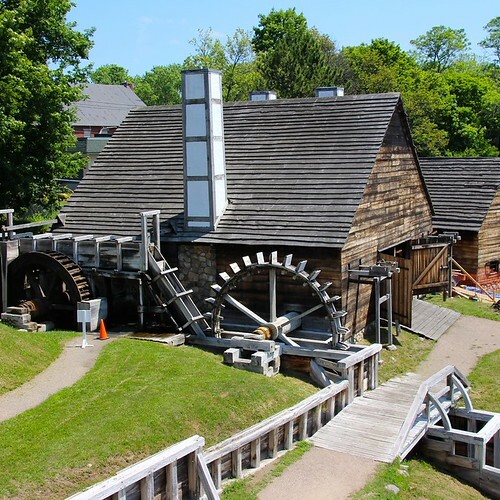 You can see how the colonists used water wheels to drive huge bellows to keep the fires hot and hammers to turn the brittle cast iron into wrought iron. Blacksmiths will show you turning a nail rod into a serviceable nail. If you are still craving more history there is a Civil War era fort and historic lighthouses but many visitors to these islands between Boston and Cape Cod come just for the beaches, hiking trails, fishing or picnicking. Public ferries travel to the islands during the Summer from Boston’s Long Wharf.